In this excerpt from 65 Goalkeeper Training Exercises, Andy Elleray offers two highly effective goalkeeper training drills. The aim of the game is for the designated goalkeeper, with any kind of ball, to touch their opponents on the middle of the back with their ball. This will promote staying ‘face on’ to the ball at all times. Alternatively, goalkeepers can try and touch each other on the knees, both front and back. This has been found to prompt goalkeepers into getting into a lower stance with their hands down low, much like facing a 1v1, or a close range shot. This will get keepers into good habits when faced with this situation in a match. Further progressions are that a ball can be added for the team to pass or throw around while the goalkeeper who is ‘in the middle’ is trying to go about his job. Another progression sees each goalkeeper having a ball and trying to ‘tag’ each other on the back or knees. There will be one goalkeeper in the middle and the others in a circle formation around him or her. 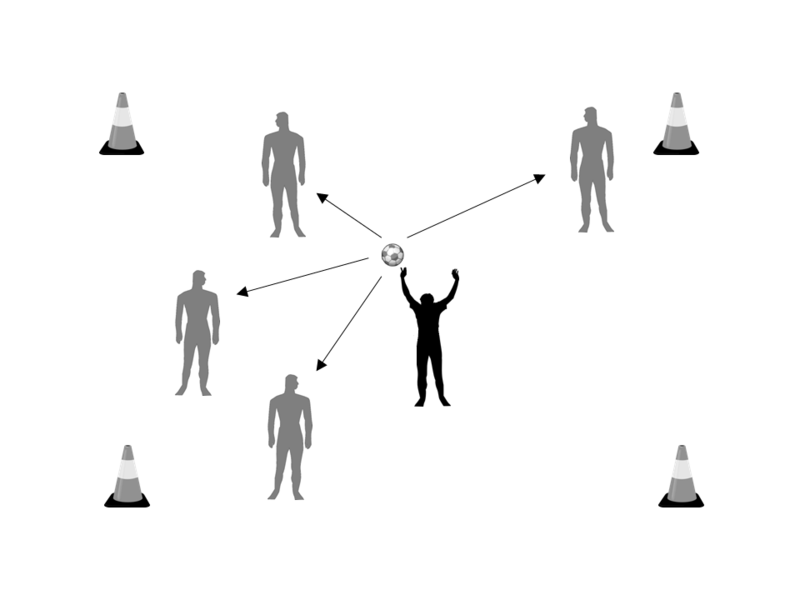 The working goalkeeper will go around the circle either clockwise or anti-clockwise making different kinds of saves depending on the session topic (or for a warm up, just basic handling such as the scoop or cup). The servers on the outside can be stationary or moving, and the distance away from the working goalkeeper is up to the coach or the goalkeeper. 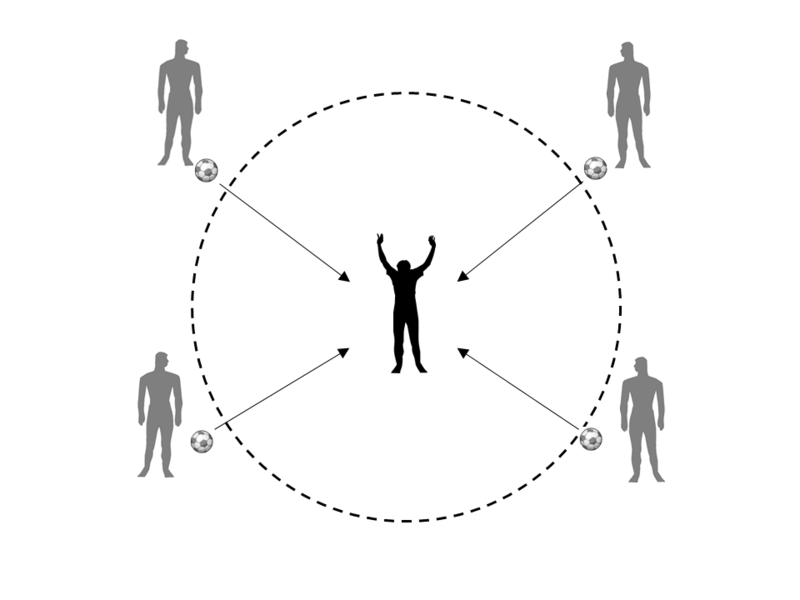 After a few rotations of the circle, the working goalkeeper will swap with another. On any keeper’s subsequent turn the direction they work in should be reversed. 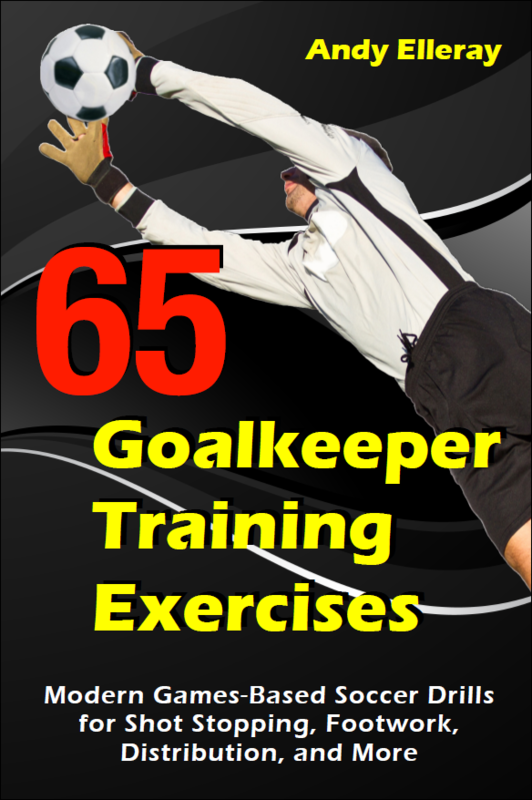 For 63 other goalkeeper training drills, see Andy’s book.